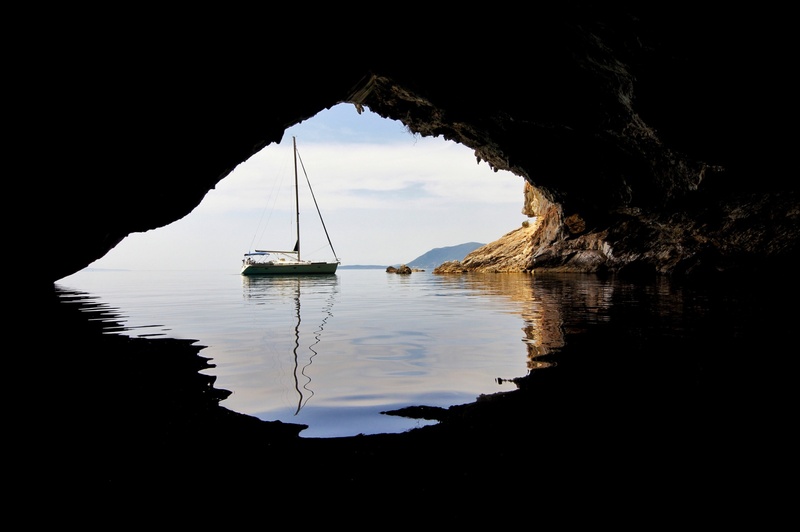 A view of our sailboat taken inside the Papanikolis cave at the Lefkada Island of Greece.. The cave owes its name to Papanikolis submarine, which used the cave as a base of operations during World War II, and can be reached only by sea. Ayvalik, Turkey.. Ayvalık is a seaside town on the northwestern Aegean coast of Turkey.